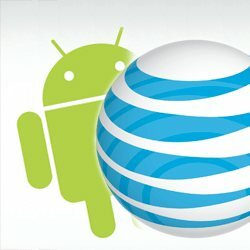 Following years of restrictions, AT&T has finally decided to allow Android users to begin downloading apps from 'unofficial' sources, including third-party app stores or web links -- a process called "sideloading". The recently launched Samsung Infuse is the first of AT&T's phones to get this option, but according to a company spokesperson, all AT&T Android smartphones will get this capability via a software update in the next few weeks. That includes the HTC Inspire 4G, Samsung Captivate, HTC Aria and LG Thunder, which will receive an over-the-air update, while the Motorola Atrix will be upgraded a bit later in a "future maintenance release." In an interview with All Things D last month, AT&T CTO John Donovan explained the long-delayed policy change and said it was a matter of prioritizing the privacy and safety of their users -- never mind the fact that Google's loosely regulated Android Market has been the target of widespread malware attacks in the past. Back then Donovan said the company wouldn't open up sideloading until they were confident that they could protect users. According to a report on Wired, Amazon may have played an important role in getting AT&T to finally allow access to third-party stores. The giant retailer confirmed to Wired that it had been in discussions with AT&T prior to the Amazon Appstore launch in March, and said that Amazon is currently "working closely with AT&T to help make it as easy as possible for AT&T customers to have access to the Amazon Appstore for Android." It's unclear what kind of security measures AT&T has cooked up, but at least on the surface sideloading will work like on any other carrier: with a simple checkbox in the application settings menu for the phone to allow installation of non-Market sources, and a disclaimer warning you about the risks of installing software from unknown sources.